News of the Crush, Costco Liquor, Big Mac Sliders and Lagunitas Layoffs | What Goes with What? I’ve seen, heard and cooked a lot in the past few weeks and wanted to share with you what I’ve learned and eaten. 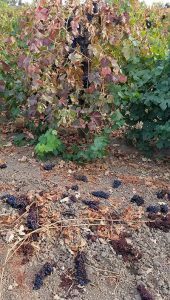 We are surrounded by the grape harvest that is in full swing and in good shape, even with a little rain, egad! If you’re a Scotch whisky drinker you might not be so happy with your Costco purchases and if you’re hungry for knockoff burgers I can help. 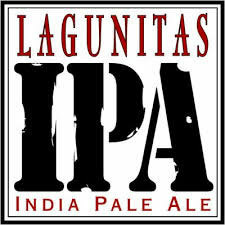 Speaking of help, got any openings for beer brewers, Lagunitas has cut 900 jobs. 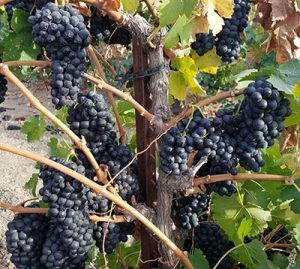 After nearly a month of picking, the 2018 North Coast grape harvest remains slow but steady because of cooler summer temperatures than past years, likely resulting in a crop that will not be wrapped up until the first week of November. You can smell the vinifera aromas from passing trucks and just crushed grapes lingering in the air, even at night. These vines are heavy with ripe red (and I might add delicious) grapes and while it seems unbelievable, workers have just passed through this vineyard trimming so as to allow the vines to ripen uniformly. Ever wondered just where the Scotch you buy at Costco actually comes from, so do many whiskey bloggers. They have noticed that Costco seems to obscure what they actually offer to Scotch and whiskey buyers when it comes to who actually produces the product. 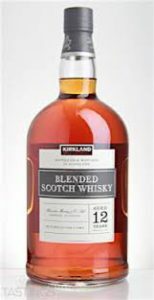 Most of their lower-end bottlings come in the popular 1.75 liter “handle,” like Kirkland Signature Blended Scotch Whisky ($18) and Kirkland Signature Tennessee Straight Bourbon Whiskey “Premium Small Batch” ($30). Questions arise as to how come it’s so comparatively cheaper and is it really as good as it should be? Costco may be an impressive company, but they aren’t aging barrels of whisky in some Issaquah, Washington, (headquarters) warehouse next to the giant tubs of Hellmann’s and Jif. Instead, Kirkland Signature whiskies are sourced from other distilleries. There’s nothing necessarily nefarious about this, even though buyers were not too pleased by a revelation in The Daily Beast that informed unwitting consumers that their “craft” whiskey most likely came from a factory called MGP Ingredients in Indiana. It’s believed that Kirkland’s Canadian whisky comes from Crown Royal and the current Tennessee whiskey from George Dickel, and it’s pretty easy to see that their previous bourbon was Jim Beam juice. Their Scotch labels, meanwhile, typically credit Alexander Murray & Co, one of those aforementioned independent bottlers. The California-based company has been buying Scotch barrels and releasing products since 2004; they helped start Trader Joe’s private whisky label that same year and Kirkland’s in 2007. 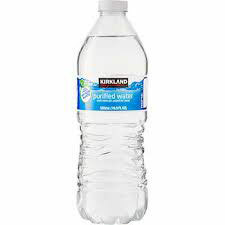 “Thank you for asking, but we don’t disclose how we develop Kirkland Signature,” wrote Annette Alvarez-Peters, Costco’s assistant general merchandise manager and the woman responsible for all the company’s alcohol purchases. “My guess would be that [Kirkland Signature Scotch] is liquid from Edrington, which owns Macallan. They can’t use it for Macallan or their blends like Famous Grouse or Cutty Sark. This doesn’t mean that it’s of poor quality; it just has to do with flavor profiles”, notes Mike Raymond, a judge at the annual Whiskies of the World conference. 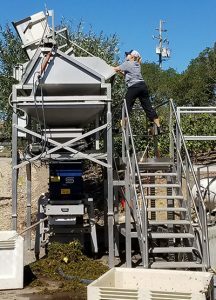 “It also doesn’t hurt that with their volume and control of two of the three (distribution) tiers helps them tremendously”. Finally, one reason rarely considered for why Costco might be able to offer better pricing is proof. Alcohol is a conduit for flavor, after all. But all Kirkland Signature Scotches are sold at 80 proof, meaning that these whiskies are watered down to the absolute lowest legal limit and, thus, Costco is able to empty barrels into way more bottles. So loyal readers will note that I have been involved with burgers a lot lately and this Whine will not disappoint. A version of this recipe came across the interweb a few weeks ago and I fooled around with it a bit and think you will enjoy. What we have is a knock-off of a “Big Mac” as a slider, secret sauce and all. There’s a bit of logistics involved but kind of fun and you bake them in the oven and they turn out pretty good. To begin I couldn’t find any kind of whole sheet “slider buns” in Santa Rosa except for the “Kings Hawaiian” brand and they are on the sweet side that works for Asian and BBQ but not for burgers. I did come across a brand of hotdog buns that seemed to fill the bill and with minor modifications worked fine. 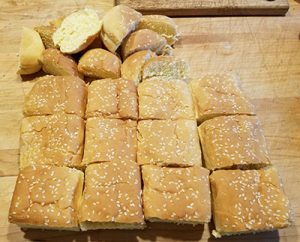 They were long and so I cut off the ends and still got three slider buns from each one. 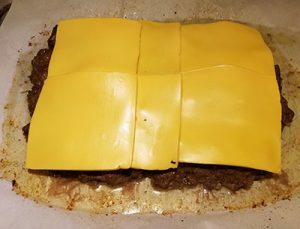 You spread out the ground beef on a good baking sheet to get a rectangle (measure your buns four across and three up) then bake. 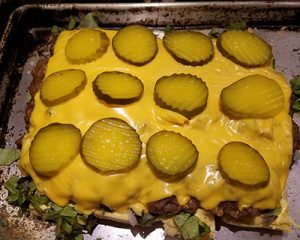 Add the cheese and bake again until melted and when melted, then add the pickles. Using a good spatula lift the whole meat layer on to the prepped buns and then slice into “sliders”. They were pretty tasty, hope you enjoy. Lagunitas Brewing Co. said Tuesday (10/2/18) in an industry press release that it would cut 12 percent of its workforce, citing a retrenchment of the American craft beer market. The Petaluma CA. company, which rode a surging wave of consumer interest in full-flavored, hoppy ales to become the largest beer maker in Sonoma County, now finds itself on the growing list of brewers to contract as sales growth slows and competition increases. The workforce reduction will affect every department in the company, which operates a production plant in Chicago and a taproom in Seattle. A simple reason for the cuts…more breweries, more choices. The craft beer sector had incredible growth in past years, with production rising as much as 20 percent annually as recently as 2014. But more recently, increases have been in the low single digits and apparently you’re not drinking as much beer as you used to. Little wine advice when I come to red blends from California: I usually pass on older vintages; I rarely buy blends whose appellations are “California.” (it means juice can come from anywhere and only 70% needs to be from CA.). And never buy a blend if the label doesn’t say what grapes are in it.